Note: Argentinian author Claudia Pineiro’s first novel to be translated into English, Thursday Night Widows was WINNER of the Clarin Prize for Fiction in 2005. All Yours, her second, was WINNER of the German Literaturpreis, 2008. “You know what your problem is, kid? Too much Internet and not enough legwork. A Crime reporter is made in the street. How many times have you hidden behind a tree to watch something…Called a witness to a crime or a victim’s relation posing as Chief Inspector Bloggins?…Get out in the street, learn to assimilate: you have to be the thief, the murderer, the victim, the accomplice, whatever it takes to be inside their heads.”—Jaime Brena, veteran reporter, to “the Crime boy,” new recruit. Among South American authors, Claudia Pineiro is one of my unabashed favorites, at least in part because the expectations she creates in her readers combine with her sense of irony and dark humor to deliver clever plot twists and sudden narrative shifts. The conclusions of her novels always leave me with a smile on my face – tricked again. Like her three previous novels which have been translated and released in English (by Bitter Lemon Press – see links below) this novel too, is full of surprises. Pineiro always provides depth to her work, vividly depicting the values of her society and the ethical conflicts which often haunt her main characters. Dishonesty and crime certainly play strong roles in her plots, but she is less concerned with depicting violence and gore than in illustrating the interplay of good and evil in her characters’ lives; she writes with a light tone, almost of self-mockery, not characteristics one usually associates with “crime writing.” Here, however, the author also introduces a dramatically altered narrative style, one which allows her to expand her themes and the vision of the world as seen by her characters. As the novel opens, Gladys Varela, a domestic worker, is trying to get past the security guards at the entrance to Maravillosa, an “elite” gated community, so she can begin her work, and Pineiro has great fun satirizing security measures so extreme that it appears almost no one, even residents, can get in. Gladys works for Senor Chazarreta, a man who drinks to excess, “crashes out” every night, and “has a face like a wet weekend,” though she quickly adds, “what boss doesn’t?” Gladys empathizes with Pedro Chazarretta, to some extent, because his wife died about three years ago under suspicious circumstances, but she does not dwell on this. He pays her well and has become angry with her only once, when a photograph disappeared from a display in his study, something he later acknowledges was not her fault. Entering the house, Gladys follows her regular routine, noting that her boss is still sitting in the chair in the living room, though it is morning. When she goes to wipe up his spilled whiskey beside the chair, she sees another stain, this one unfamiliar. Chazarreta is sitting upright with his throat slit from ear to ear. 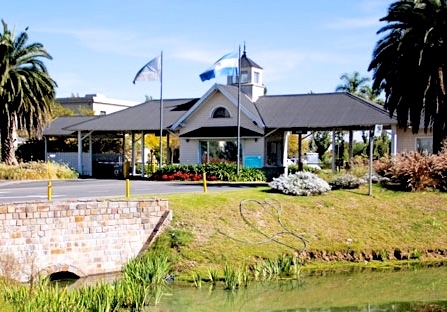 Elaborate security measures, satirized here, control the entrance and exit from this gated community near Buenos Aires. 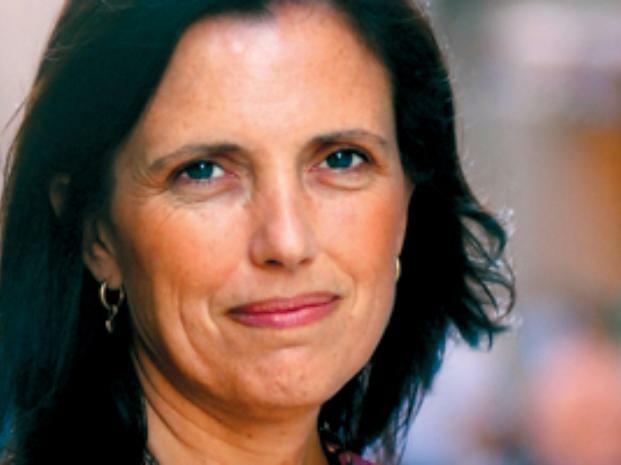 Pineiro, winner of the Pleyade Journalism Award for her past reporting, puts her many years of experience in the field to work as she develops the main characters, most of whom are associated with El Tribuno, the main newspaper in the area. Nurit Iscar, now single after her failed marriage and ill-fated three-year affair with the paper’s editor, is at loose ends, working primarily as a ghostwriter after the failure of her last book. Previously known as “The Dark Lady of Argentine Literature,” Nurit wrote a romantic novel during the height of her affair, and the novel’s grand failure and its brutally hostile reviews have prompted her to “do a Salinger,” hiding from the world to nurse her broken spirit. She has refused to write another novel. 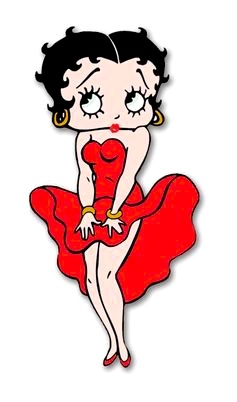 Betty Boop, a cartoon character dating from the 1930s, is recalled by Nurit Iscar’s nickname here. At El Tribuno where Nurit’s former lover, Lorenzo Rinaldi, is editor, word has hit the newsroom regarding Chazarreta’s death, and since most of the city has believed for three years that Chazaretta killed his wife and managed to get away with it, this news opens many new avenues of investigation – and allows Pineiro to provide insights into the mores of journalism and into the relationship of journalists with the police and the government. 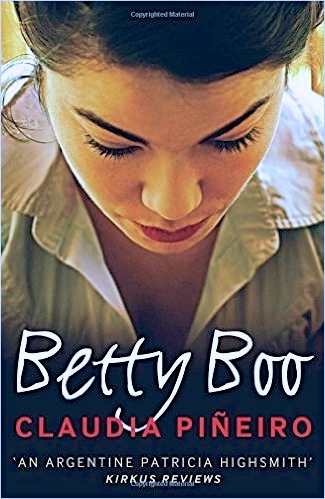 Before long, Nurit, affectionately nicknamed Betty Boo by Rinaldi, receives a call from him asking her to investigate the two Chazaretta deaths and to write about them – “It’s not the truth I’m after, it’s writing that captivates, it’s your interpretation of that world, your description of the people you see around, all those things you do so well.” After much dithering, Nurit agrees, moving into a house in the Maravillosa community, arranged by Rinaldi, so she can be close to the investigation as it takes place. She eventually works with Jaime Brena, the former star of El Tribuno’s News department, recently demoted by Rinaldi, and Crime Boy, the young, inexperienced writer who has replaced him. 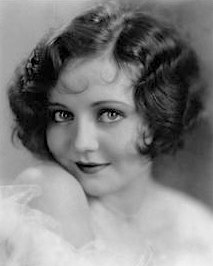 Helen Kane, the real singer on whom Betty Boop is modeled, was famous for her song “I Wanna Be Loved by You,” described in the history of Betty included in this novel. As the complex investigation unfurls and the number of deaths increases, Pineiro explores many themes – Nurit’s budding feminism is contrasted with the casual sexism of the men in the novel. She maintains her independence throughout the investigation, taking chances which horrify her male colleagues, especially as the death toll rises. Some symbolism – such as a character who runs almost full time – and even some spiritualism involving ghosts and a talking house also appear and add to the atmosphere. The greatest attention, however, is spent on developing the ideas of guilt and innocence, the use of police power to direct investigations to their own advantage, the question of whether random killings are really random, and the role of journalism vs. fiction in finding the truth and maintaining the public order, whichever works best. 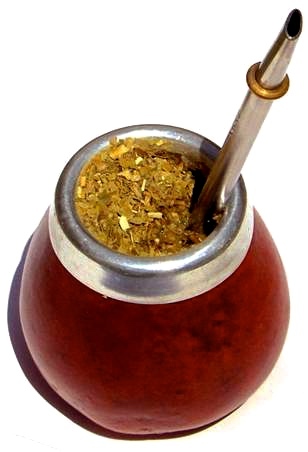 Throughout the novel, characters drink highly caffeinated “mate,” the “national infusion,” made from yerba mate and hot water and served in a calabash with silver straw. As traditional as some of these ideas and plot lines may appear, Pineiro is decidedly not traditional in her narrative style here, and long-time readers of Pineiro’s work will be surprised when they pick up and leaf through the novel. Pages of type, with no paragraphing, no indents for dialogue, and no spaces to separate one episode from another can be daunting, since this stream-of consciousness style requires particular attention in following the dialogue and noting who is speaking. It does, however, allow the speaker greater leeway to speculate about issues, and it adds thoughtfulness and perhaps gravitas to the fairly traditional plot lines. The conclusion, always a surprise in Pineiro’s novels, has some special twists here, too, some of which explain the narrative style.